The first big change in this update to the app is a new highlighted review. Each day if you navigate to the Nearby tab, you will see a featured review of a local establishment within the app. Think of these as sponsored reviews. It’s a great way to potentially find a new place to go that you may not have thought about previously. 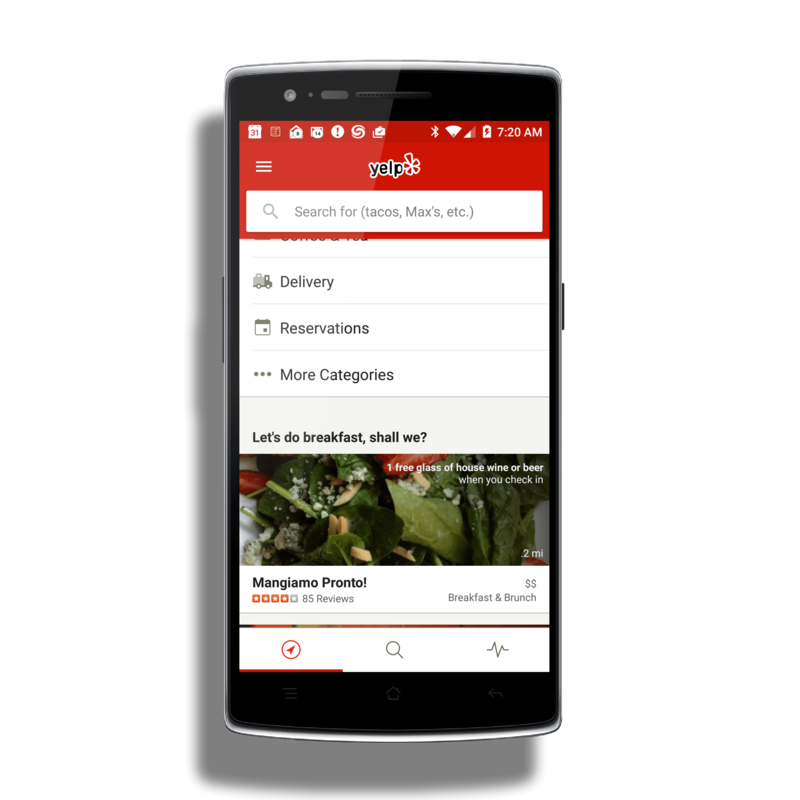 Secondly, the searches you now do in Yelp will be shared with the Google Search app on your Android Phone. That means that when you are using the Google function, search suggestions from your Yelp activity will show up there too. To use this new function you need to be using the latest version of the Google Search app on your phone. Finally there is the improved photo sharing amongst apps on your phone with Yelp. Now you can go into a 3rd party app like Photos and use the Share function to share a photo with Yelp so it can be a part of your profile or reviews. In other words, you don’t have to take the photo within Yelp itself any longer. Beyond these new features, there are not any other fixes or improvements listed in the Release Notes for the app.